On Living In the Wrong Neighborhood in Japan | This Japanese Life. Posted on July 3, 2013	by E.
Imagine moving to a neighborhood and finding that suddenly, your friends and family are ashamed of you. Employers turn you down when you tell them your address, your fiancee tells you her family is threatening to disown her if she marries you. It sounds like a literary allegory for racism, but for 2-3 million people known as burakujyumin in Japan, it’s a historic precedent. Burakumin were once part of a broader despised caste, but now refers increasingly to sections of cities where that caste once lived, and the jobs that caste once had. Japanese people are essentially identical to Koreans in origin, but a history of nationalism, represented by a divine emperor, has placed an imaginary sense of distinction into the blood of many Japanese. 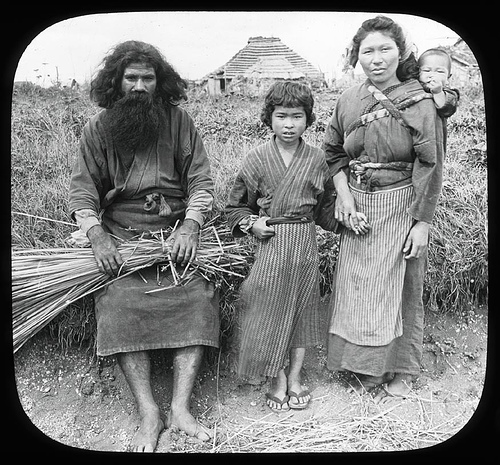 The cultural identities of some Japanese are distinct from this “pure blood” of the mainland: Ainu of Hokkaido and the Okinawan people have historically been considered Pseudo-Japanese, just above foreign residents of Japan. (Even multi-generational Korean migrant families are considered pseudo-Japanese). The Ainu have their own religion and ceremonies, deemed barbaric by their occupiers, while the Okinawans were seen as half-Chinese, owing to a history as a vassal state. But even being “pure” Japanese didn’t keep you from full integration. There was a caste difference. Burakumin doesn’t refer to a national identity, but to “the hamlet people” who lived in ghettos on the outskirts of the cities. Essentially, outsiders. The term came to include beggars, panhandlers, lepers, and Eta and later evolved into an all-encompassing name for occupations such as cleaners, gardeners, falcon hackers, butchers, harbingers, comedians, gravediggers and prison guards. Popular stories about them circulated widely. They had dog bones in their bodies but were missing a rib. That their necks didn’t cast shadows, their sexual and excretory organs were deformed. 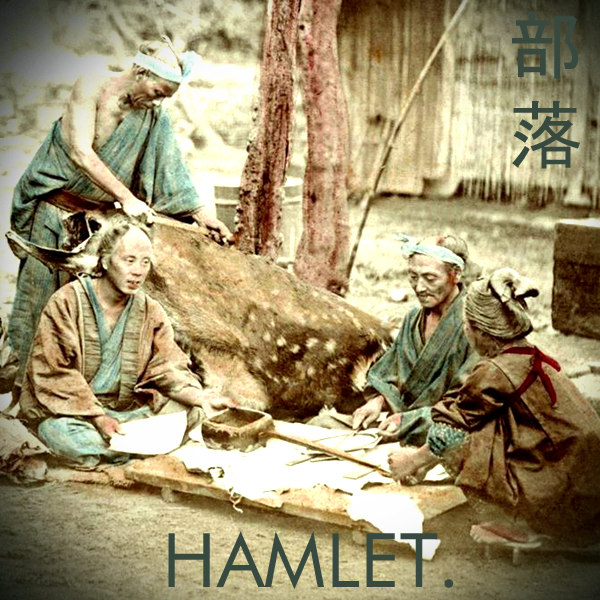 They were subhuman in the hierarchy of Tokugawa, a distinction that lasted nearly 300 years. They were banned from leaving their ghettos after sunset, banned from wearing shoes, often had to wear identifying marks on their clothing. If they spoke to anyone – usually for matters of trade – they had to get on their hands and knees. Certain haircuts were forbidden, and if they wore them, a samurai could execute them on sight. Tokugawa-era rules said that once you took one of these jobs, all of your descendants belonged to the same caste. So why would anyone take these jobs? Desperation and tradition, as best as I can tell, but no one seems to know for certain. Horses and cows were being killed in Japan before Buddhist law banned it in the 8th century; once that law was passed an entire class of worker was legally and religiously tainted. (The further away you were from the capital, Kyoto, the more likely you were to ignore these laws: Hence, concentrations today are still focused in Kyushu and Tokyo, then the outskirts of the country). One important factor was the weird (to Westerners) distinction between wealth and class. Lots of samurai were poor, despite being near the top of the social hierarchy. Hide workers were paid by daimyo and merchants for armor, saddles, and other leather goods, even if they weren’t respected for making them, and as with any organization in Japan, they formed their own hierarchies and fiefdoms on the outskirts of towns (hamlets) with the other undesirables: Lepers, comedians, prostitutes, beggars, all of which eventually became burakumin. Eventually, of course, they had no choice: They could only work in the professions allowed to their class, a distinction useful to Tokugawa’s policies of strict social control. Everyone still got leather, and the stigma reminded riot-prone farmers that things could be worse. We are considered unclean because we dispose of animals and eat their flesh. Yet, we have heard that Westerners eat the flesh of animals as part of their daily meals, and they are treated politely here. Even here, in our own country after the ports have been opened, high-ranking people are said to have developed a taste for eating meat. Hence, we would like discrimination against us to cease by abolishing the use of the word “Eta” to describe us. If that were done, we would willingly donate the requested money even if we must dispose of all our possessions. A few years later, after the Meiji Restoration – a few years after the American Civil War – they got what they wanted. The government of Japan issued what some call “The Emancipation Proclamation” for Eta, giving them equal status and forbidding the acknowledgment of their history. It did not go well; riots in Okayama lead to Burakumin being burned in the streets. Even with their new legal status, the government was considering plans to round up Eta and force them to work in Hokkaido as farmers. The name Eta eliminated, a few new ones emerged: “The New Commoners,” the “Special Kind,” which soon took on the meaning of “Different Kind,” even, briefly, “The Village People.” A surprisingly familiar attempt to govern attitudes through suggestion lead to another name, “Model Hamlet People,” and from there burakumin was born. Though still considered discriminatory, the word continues to be used by activists and academics, so I’m using it here. Burakumin continued to work immersed in the smell of meat and hides, in abattoirs and tanneries isolated from the communities they served. These regions smelled like death. The workers smelled like death, and had for centuries. The religious stigma shifted to a social one, and then to a reflection of the neighborhoods they worked in. The idea of sub-humans remained. Emancipation had a cost: Without legal distinctions, they became just another merchant class, now thrown into the same race and competition as everyone else. Socially, they couldn’t mingle with “proper” townspeople, could not marry out of their class. The only difference is that the government wasn’t involved in their repression – other people were doing it for them. Burakumin could not find other work. They could not marry outside their closed impoverished communities, could not improve their social standing, despite the egalitarian meritocracy espoused in the Meiji period. This state of affairs lasted without government action for another 70 years – where the whole class of impoverished outcasts lived in forbidden and ignored neighborhoods marked by social exclusion. Private Detective agencies exist in Japan in large part due to funding by nervous families of brides and grooms concerned with what kind of family will be mixing with theirs: 35% of Japanese are opposed to their child marrying a burukamin descendant. If a child is born from even one burakumin-dwelling parent, then they are burakumin-dwellers, impure from their ancestors, tainted by the smell of death sticking to their bodies. The “smell” of burakumin-dwellers, and their alleged immunity to it, is the “missing rib” story of a modernized Japan. It’s what separated those who work or live near the tanneries and those who work in them. Even now, someone sensitive to their upbringing, having been raised on the outskirts of a burakumin neighborhood, might make a great show of being disgusted by leather or the smell of meat, on the you-do-protest-too-much scale of melodrama. They don’t want to seem comfortable with it, lest they be confused for being part of it. The way to decide if someone is a burakumin descendant used to be studying five generations of family history. However, thanks largely to new privacy laws, researching that far back in a family history requires approval, and employers, at least, aren’t supposed to ask. This has only led to refinements of prejudice to include only the most recent parents. So, when Google maps introduced an otherwise quite cool feature in which users could look at old maps of Tokyo, it did not quite realize that it was also outing the family data of everyone who lived in, or was descended from those who lived in, neighborhoods marked as burakumin (or, in some cases, not marked at all: Burakumin ghettos were often ignored on maps completely, appearing as white spaces). Google has since changed the maps, but it hasn’t stopped richer families from paying more money to do Google searches the old fashioned way: They send someone to cities where the fiancee was born, and they ask around. Hubs for Burakumin include Fukuoka and Kitakyushu, Okayama, and Kansai. As that researcher from California – the one whose dinner companion bailed on him– found, most people are hesitant to discuss people’s heritage in Japan, while there’s no taboo against saying if a certain neighborhood smells like leather. And so, “smells like leather” was a euphemistic way of describing people thought to be tainted by their ancestry. So while 88% of Japanese claim they have no problem or even awareness of burakumin, 33% in the same study are somehow opposed to marrying someone from a burakumin neighborhood. (Notably, 12% were openly opposed to interacting with Burakumin in any capacity, according to a government survey taken in the late 1990’s). By the 1950’s and 1960’s, people in Burakumin areas or jobs still considered themselves to be less valuable than mainstream Japanese. 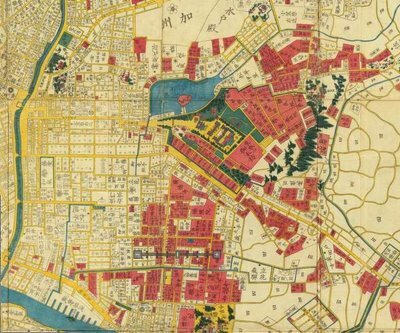 The organization of neighborhoods often revolved around a single leather or fur factory owned by a wealthier resident, the oyabun, (maybe one for each neighborhood) who ran the factory and owned the houses nearby. People worked for and paid rent to the same individual, who in turn was “committed to aid impoverished families, to assign jobs to clients in proportion to need, and to assure a certain minimum income to the families under his protection.” (From a 1957 study by John Donoghue). After the Civil Rights movement in the US, and campus protests in Japan and around the world, the issue of Burakumin started to merit domestic attention. In 1969, the Japanese government began addressing Burakumin communities. It included direct cash handouts to burakumin descendants, regardless of financial need, and targeted burakumin neighborhoods for modernized public housing and public works like parks and recreation centers. Over time, this lead to a resentment among those Japanese who pretend not to see burakumin or to understand how a thousand years of social exclusion might set a family back a bit. The other noteworthy aspect of this is that many of the public works projects in these neighborhoods are public, and described as if they exclude non-burakumin. The fact is, many people just don’t want to go to a park or recreation center in a burakumin neighborhood, nor live in their modern public housing. Instead, burakumin faced a rising tide of resentment and claims of “reverse discrimination” which they conveniently pretend isn’t about caste. “It’s not burakumin,” they say, “It’s just that they’re getting all that money for nothing!” As McLauchlan points out, however, nobody is hiring private detectives to find out if their future son-in-law grew up next to a nice urban renewal project in a non-burakumin neighborhood. Furthermore, housing in these neighborhoods still fails to sell at reasonable prices, meaning that the entire scale of inheritable wealth has been thrown out of whack. In Japan – as in America – generational wealth has been passed down in the form of property. When that property doesn’t accrue value, families do not accrue wealth. Investigators up to the 1990’s have found the practice of “redlining” Burakumin districts in ways remarkably similar to the redlining of Chicago neighborhoods on racial lines, a practice that also set back the accumulation of wealth for black minorities in the States for generations. Government handouts stopped in 2002. The government has failed, however, to provide a reasonable path to assimilation back into mainstream Japanese society. Instead, many burakumin are left abandoning their pasts and simply moving away from “contaminated” neighborhoods – hence the private detective boom. Upward mobility is still tough, though, because to move out you have to sell your home in a neighborhood no one wants to live in. There is no process of gentrification in these neighborhoods – even as residents have earned more, the properties stay low, and only foreigners tend to be moving in – perpetuating the stigma of the neighborhood. Two myths surround the burakumin that make stigmatizing them simpler for Japanese. The first is that burakumin are Koreans. This idea, tied to negative feelings about Korea, has increased lately, but it is absolutely wrong. The second is that burakumin choose to live in poverty. This is a lack of imagination on the part of mainstream Japan. This kind of fluidity is near impossible in a country where schooling dictates your trajectory in life by the time you turn 15. Parents who can’t afford after-school classes for kids are at a disadvantage. Going to a school in a Burakumin neighborhood is as stigmatized (with a few exceptions) as living there, and more difficult to cover up. Universities are expensive. Finding work early in life is crucial in a country that hires at 18 (entry level) or 25 (management level) and then not at all. To say that burakumin residents simply have to relocate is literally asking an impoverished family to sell their home for a meager sum, take their child to a more expensive neighborhood to go to a more expensive school and university – all so they can, eventually, possibly, have access to greater wealth. More simple, I think, would be for people to challenge a ridiculous social hierarchy in which the scent of your neighborhood determines the future of your children. Mainstream Japanese could challenge employers who perform illegal background checks, families who refuse permission to marry burakumin-dwellers. They could challenge the 12% that say they would terminate a friendship with someone they discovered to be living or working there. Of course, that might make things awkward. So, nevermind. Apathy lingers among those in mainstream Japan, who are tired by what they see as identity politics tied to the desire to end identity politics. Ignore the problem of burakumin and you will stop perpetuating it, they say – “Don’t wake a sleeping baby.” This is a mainstream belief similar to the “Don’t Ask, Don’t Tell” policy for homosexuals in the US military. You look like everyone else, so if we just stop talking about how you are different, everything will work out great! But discrimination still lingers. Unfortunately, in a country so lop-sided toward mainstream homogeneity, the empathic imagination can only go so far in understanding how the victims of discrimination aren’t somehow to blame. To this end, many burakumin residents simply wish mainstreamers would visit their neighborhoods and see how normal everything is. Neighborhoods throw festivals and host events, but outsiders never come. It’s hard to say whether mainstream Japanese still fear the neighborhoods or just fear saying or doing something stupid. Many efforts focus on the children growing up in Burakumin schools. Just as school lunch is used to promote a kind of Japanese identity, these programs stress the role of local industries in mainstream Japanese life. An example is the leather hide used to cover taiko drums. Without leather, there is no Taiko drum, no school bags or ramen noodles. Children go on field trips to taiko factories or concerts. But the idea is to transform the image they have of themselves – and that other children have of burakumin – by connecting them to the image of traditional Japanese life, rather than focusing on the raw materials (and therefore, their “distinctions”). Falcon Hawkers like This Japanese Life on Facebook. This entry was posted in Uncategorized and tagged burakumin, japanese history. Bookmark the permalink. Very interesting thank you for sharing this writing, I had just few notions about Burakumin. I wish it was so, but reality is different. It is well documented, unfortunately, that people still have prejudices toward them. It’s more like “as long as I don’t get in contact with any of them my reputation is safe and I can ignore the matter”. It’s not like young people “don’t know much” because it doesn’t matter anymore, they don’t know because they don’t ACTUALLY know a thing, as for burakumin is essential to “pass”, that is to say “not to let their legacy be known to others….for once it is….they are labeled and ostracized with 90% of probability (and I’m being generous). That is to say, most “common people” don’t even get a glimpse (at least knowingly) of the burakumin. It is not for nothing that they’re called “Japan’s invisible race”. I hope this will get to an end, but considering Japan’s cultural background it is still too slow of a process to say “it might be solved”. I love how well researched your stuff is. I knew a few things about burakumin but I certainly leanrt a lot more from this post. Thank you for this post, it’s really frustrating reading blog after blog where people blithely write about Japan’s homogeneous society blah blah blah. As someone who teaches in highly diverse “Japanese” schools, it drives me crazy that this myth of homogeneity is so mindlessly perpetuated. No problem. I think you initially proposed that I look into this topic a while ago, so thanks! Very insightful and well-written. Although deeply troubling, I really enjoyed reading this piece. I’m researching the Eta (or Burakumin, as they are known these days) for a chapter in my next book, and this post says probably the most about the subject, in a succinct form. A worthy read. I had this naive notion that perhaps the Japanese only discriminated against foreigners–as I know they do the Koreans. As an American I see racism and segregation even still, but my heart goes out to those “burakumin” who cannot be as self made as an American can be–to me it seems like a discouraging pit, which from a humanitarian perspective shouldn’t exist to begin with. To me, it seems silly that these people would be so hated/ignored by the Japanese because of dealing with dead animals–I lived part of my life on a farm, and where I come from working with cattle was a respectable line of work–even working their skins. I wonder what the Japanese think of “cowboy” culture haha. Still, I’m fascinated. I feel like we shouldn’t judge the Japanese so harshly though–American culture has its scares as well, and even today our dark history has damaged society–particularly with slavery, homosexuality, and events like the Salem Witch Trials. I’m not making excuses, but just putting my two bits in. Perspective can be a challenge. It’s a sad world we live in.